Gates of Fire puts you at the side of valiant Spartan warriors in 480 BC for the bloody, climactic battle at Thermopylae. There, a few hundred of Sparta’s finest sacrificed their lives to hold back the invading Persian millions. The time they bought enabled the Greeks to rally - saving, according to ancient historian Herodotus, “Western democracy and freedom from perishing in the cradle.” How did the Spartans accomplish this superhuman feat? This is what the King of Persia hopes to learn from the sole Spartan survivor. The squire’s story indeed reveals the incredible rigors of Spartan training - and more importantly, how the whole culture fostered the mindset of fearlessness. Steven Pressfield has skillfully combined scholarship and storytelling to bring the whole world of ancient Sparta brilliantly to life. George Guidall’s dramatic delivery enhances the richness and feeling of this inspired recreation. Steven Pressfield, has created a compelling, entertaining story - well written on many levels. You won't be disappointed by the author. What makes this a great listen is the narrator George Guidall. Mr. Guidall is a voice actor with depth and real life experience. The author has created a good story and Mr. Guidall's performance propels it to a higher level. Some narrators such as Scott Brick, have a style and narrate books written in their style. Mr. Guidall is a voice actor who brings to life the character in the story. This author partnered with this voice actor equals five star winner. 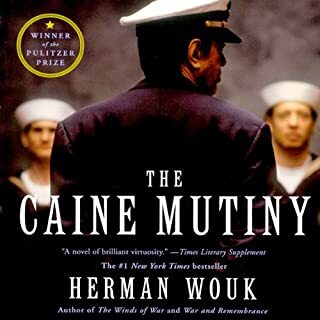 This book rates at the top of my Audible listens and I have listened to many over the years. History, culture, action, told so well that I truly did not want it to end. Good authors are often graced with one great book. 'Gates of Fire' is Pressfield's henosis. 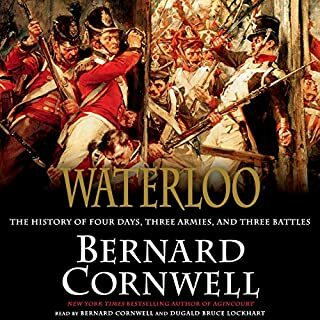 It is lyrical, compelling, thought provoking, and soars above most works of historical fiction (at least those that shrug in the mud of military historical fiction). Like most of Pressfield's work, 'Gates of Fire' deals with the common soldier, the grunt, the squire. His narrative is informed by a people's history of Greek history. For me, the most surprising aspect of 'Gates of Fire' was the nuance Pressfield's gave to Spartan women. If I sound too enraptured, too possesssed, I apologize. I am sure that there are faults in this novel, but they are few and mostly irrelevant. Pressfield wasn't aiming for 'War and Peace', he wasn't trying to capture the flag of high literature. His goal was more humble, but he more than won it. Would you listen to Gates of Fire again? Why? A book a father could pass down to a son. I bought this book thinking that it was the story of the Battle of Thermopylae. While it is that, most of it concerns the life of the narrator of the story, the (fictional) single Spartan survivor of the battle, as he relates it to the Persian King Xerxes after the battle. The result is that most of the book concerns not the battle itself, but the lives of those living in Sparta, both citizens and non-citizens, and hence gives us a view of what life was like growing up in this most military of states. I had, of course, first heard about Sparta when in Elementary School and had my first formal presentation of the story in High School history class but, after reading this book, I have to say that I had no real idea at that time what the term "harsh upbringing" really meant. Steven Pressfield has clarified that term in great detail and this book will stay with me for some time to come. I found it very hard to read but, at the same time, found myself reluctant to put it down until I had heard what happened to those involved. Not those actually involved in the battle of course but those related to the primary characters in the book. The idea that 300 or so Spartans and their more numerous allies could hold off the entire Persian Army for 7 days (3 days of which was battle) seemed incredible to me when I was young and still seems hard to believe, but the details in the book are presented so well and so clearly that I could almost imagine myself as being an invisible observer as the battle progressed. 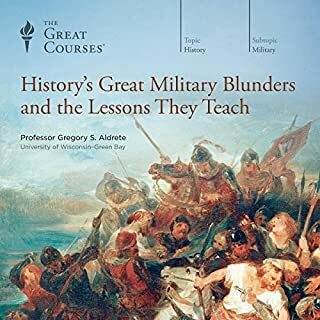 This is not an easy book to read (or listen to), but is well worth the effort for the clarity it gives to one of the pivotal moments in history. The narration by George Guidall is very well done, as one would expect from him, and the tone suits the events. I may not re-read this book but I am glad I went to the effort to buy and listen to it. 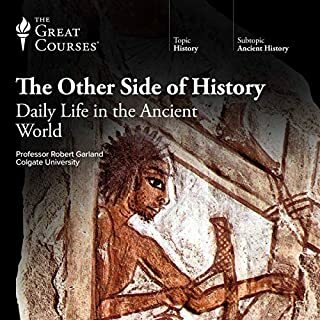 I recommend this book to those with an interest in history in general and the early Greek states in particular but do not recommend it to the squeamish. It is, as I wrote, a hard book for me to read. 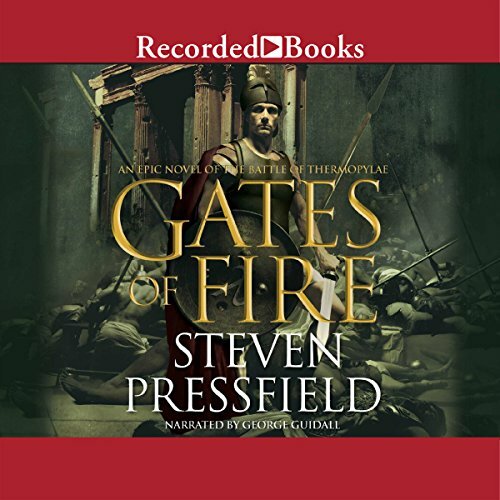 Where does Gates of Fire rank among all the audiobooks you’ve listened to so far? Love this story. Made the audio book. Who was the most memorable character of Gates of Fire and why? I have waited for audible to get this story in the unabridged for a long time. Several suggestion letters later its here! Would you consider the audio edition of Gates of Fire to be better than the print version? I'm not sure as my life just doesn't have time for a good long read anymore. Not to say that it wouldn't be even better but just not for us that have discovered Audible as a modern indispensable option in their busy lives. 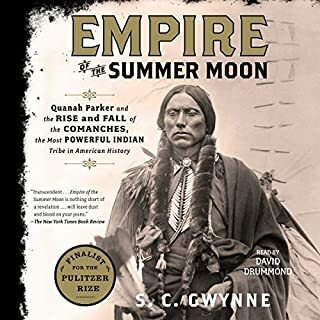 I listen often and found this book because of George Guidall's narration right up there in my favorite narrators list. 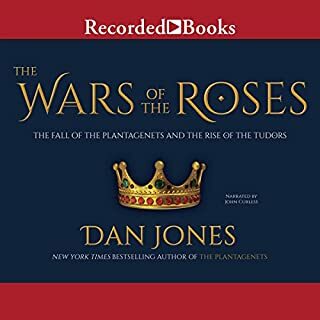 I'd say that this listen is for those that appreciate attention to detail and authors that not only write well but take the time to contextualize their works. Painting the verbal picture is definitely one of Pressfields strengths. This might not be for those who would rather a story flow or move at a faster pace. At the same time, for a story whose ending we all know, I enjoyed every minute of it. There is a long list of life insights presented in ways that for folks like me will enjoy the insights and potential lessons sewn throughout. Outstanding. One of George Guidall's best. What made the experience of listening to Gates of Fire the most enjoyable? I am a fan of the narrator and whenever I read lists of his best work, this is always at the top. I read the book before I found the recording, and sometimes that give me too high of an expectation. George Guidell surpassed my expectations. Without putting on accents or staging elaborate changes in volume or inflection, he give each character a believable and unique voice. Even speaking Greek he fills the characters with emotion and life. Very easy to listen to, very easy to emerse yourself in the story. I first read Gates of Fire more than 10 years ago, long before the movie or comic book "300" came out. As much as enjoyed both, I was saddened by its success because I knew many people would take it as the definitive fictionalization of the historical battle of Thermopylae. That title clearly belongs to this book. The story, which we all know the end to, remains suspenseful because of the characters. We as readers become invested in their lives and struggles. Things this book is not:-A mystery novel-A romance novel-A spy novel-An exact historical account of the Battle of Thermopylae. -The story of one man/woman struggling to find love in a world of economic oppression and/or vampires.There are some reviewers who have criticized this book for not being "literature." Personally, I read for the stories. This is a great story that runs more to the "epic" than "slice of life." There are curse words used, but used in the context soldiers of all eras would use them. There is great humor. There is tragedy, There is drama. There is adventure. There are characters you cheer for and those you hate. I would add that this is probably a more popular book with men, particularly those who have in one way or another spent time in military service. My wife does not get why the characters (either historical or fictional) would make the choices they do, but to those who have been on the line or in the fight, it's moving to hear our thoughts, fears, and relationships described so eloquently. These are not strictly male concepts, but I have found every guy I have recommended this book to has loved it, and most of the females I lent it to said it was good, but couldn't find a particular character to connect with. What other book might you compare Gates of Fire to and why? I don't think you can compare it with anything. The history can be compared to the events that took place at the Alamo but this is an epic story. The story line was well written and enjoyed how it flowed. Wow, did that really happen? To know that it is recounting of actual events that changed the world forever - brilliantly detailed stirring a palette of emotions throughout. It has to be Xeones for his intimacy with the reader. When the Spartans raid the tent of King Xerxes. Yes if only. My wife almost divorced me some days. amongst the most evocative and stunning things I've ever read. each sentence seems to be painstakingly and lovingly crafted. beautiful. A blend of fiction and history, smattered with truths about humanity that resonates no less because of its ancient setting. I have listened to many hours of George Guidall narration. His ability to portray strong defined characters with the smallest vocal inflection, of any age or gender, is a constant marvel. As always, his measured and weighted delivery gives the listener easy access to a tale of grit, adversity and guts, the latter in every sense of the word. The story of Thermopylae told through the eyes of a slave... one of my favourite all time books! I highly recommend it for those who like historical fiction.